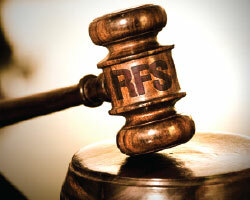 The questionable fate of the U.S. renewable fuel standard (RFS) has dominated headlines in recent months, with powerful oil and food lobbies pushing Congress to dismantle the program. Some say the federal RFS sets a benchmark for U.S. production while state policies determine where the fuel will be used. With the RFS under siege, state biodiesel policies are now more important than ever to preserve sustainable biodiesel industry growth achieved in recent years. Hear what the experts have to say about the state of state biodiesel policiesâ€”whatâ€™s new (e.g., Rhode Island and New York State Bioheat legislation), whatâ€™s changing (e.g., Minnesotaâ€™s ramping up to B10), and where the most promising biodiesel markets are emerging (e.g., Californiaâ€™s LCFS).